My domain name registration expired, Help! Home / Blog / My domain name registration expired, Help! The worst possible thing that could happen on a Friday afternoon is heading over to your website just to discover that it is down. One of the most common reasons a website can be unreachable is domain name registration expiration. What’s the difference between domain name registration and web hosting? Domain name registration is for your domain name only. Web hosting is for the website that lives at that domain. It’s kind of like the title/registration for your vehicle. Just because you keep your registration up to date, doesn’t mean your vehicle is running well. What happens if my domain name registration expires? Your first indication of registration expiration usually occurs when you type in your website url and you see something like the image above. When your site is down long enough Google will take notice and remove it from ranking in searches. Which means if your site was consistently ranking organically on page one for a search term it will stop appearing altogether, and if this is a competitive search term you may not be able to work your way back to the top of the search. If you are running an Adwords campaign your ads will still appear, and they will still link to your page. When your ad is clicked on you will still be charged the pay-per-click fee, but that potential new customer will be sent to a website that isn’t there. If your domain is also used as part of your email address, your mailboxes will be unreachable. Any messages sent to your email during this time will not be retrievable. Even if you are able to pay the fee and have your domain name back online, it will most likely not be an instant fix, as it can often take as long as a week to process. Your domain name registrar may also place your expired domain name in limbo and charge you much more than you originally purchased the name for to get it back. The worst case scenario is that your domain name has been left to expire for so long that you are unable to repurchase it. If you have built your brand around domain name, letting your domain expire can be costly, and sometimes even impossible to resolve. Many of our clients choose to have their domains with GoDaddy. Once your domain name expires GoDaddy give you 18 days to renew. Once those 18 days are over you will have 23 days to renew with a one-year renewal and an additional $80 redemption fee. After 42 days your domain name goes up for auction, and you may lose it forever. What you can I to avoid domain name expiration? 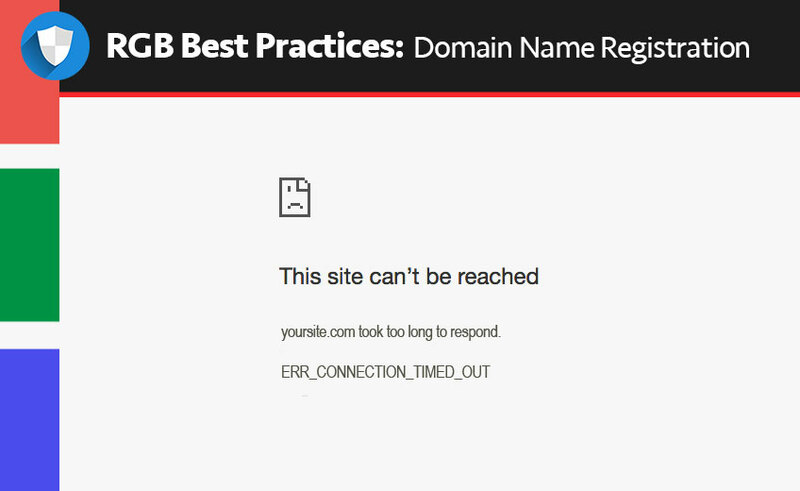 One way to avoid this problem is to setup auto renewal for your domain name. Your credit card can be put on file with company who holds your domain registration, and you will be automatically billed based on the renewal period you specify. Once you have your renewal period setup remember to set calendar reminders.